Veck bonding fasteners - for moulding in or surface mounting. 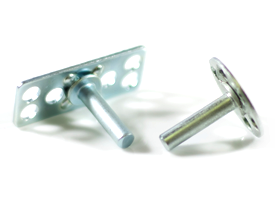 High quality, low cost Mild and Stainless Steel bonding fasteners and threaded inserts. Male stud fastener and female threaded collar manufacturer Veck Composite Fasteners Ltd is a supplier of high quality, low cost steel bonding fasteners. This is a fixing which is sometimes generically referred to as a bighead fastener. With in excess of 1400 different designs of standard fastener and additional bespoke versions available on request, our inserts are used throughout manufacturing. They are used in a variety of applications and for challenging environments. With a high stock level of male stud, plain pin, blind and sighted female threaded collar and hexagonal nut assemblies always being available, they are offered in corrosion resistant Mild Steel (Zinc plated/BZP) and marine-grade 316 Stainless Steel. If you would like to browse our standard range to find the part that you need please review our 2018 Catalogue here. Our company prides itself in its on-going promotion of the highest standards of quality, market-leading prices and unbeatable fastener availability. 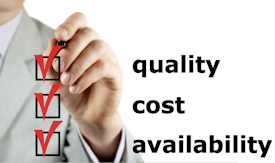 By maintaining a high level of stock parts (currently in excess of 1,125,000 items) we are able to keep our manufacturing costs low, keeping our list prices low, with the added benefit of allowing for a same-day dispatch on most parts. It is important to us that we have committed to these values since the company’s birth in 1999 and this continues to define how we conduct our business. Many bonded fasteners are available directly from stock for a fast delivery, wherever your location. We are a long established and respected supplier of composite fasteners to manufacturers worldwide, with over 15 years of experience, and we aim to help you keep your design and production commitments on the move. 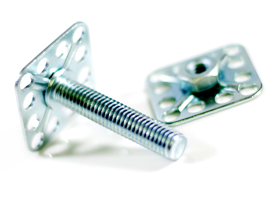 The specification of our fasteners meet the demanding requirements laid down by principle markets including automotive, marine, construction, transportation, signs and many others. Our fixings are suitable for use within a variety of manufacturing processes including GRP hand lay-up, glassfibre or plastic moulding (rotational, vacuum, injection, etc) and for surface-mounting with adhesives. The variety of anchor assemblies manufactured by us, which are available in both large or small quantities, are sometimes referred to as big head bonding or bonded fasteners.